If you are frequently piling on heavy waxes, pomades, creams, sprays, etc., this shampoo will get rid of that extra gunk. Don't save for just "spring" cleaning - coat on hair once a week for deep cleansing or every day for extreme build-up. Its clarifying formula thoroughly polishes hair, thanks to its vitamin C and extracts of grapefruit and lemon. To get squeaky clean benefits, coat wet hair with a liberal amount of shampoo. Gently massage the scalp and roots with fingertips to work into a lather. Contrary to popular belief, you don't have to scrub and scrub to get hair dirt-free (that motion only roughs up the texture and causes breakage and tangling). Lightly squeeze the shampoo from roots to ends. Our salon stylists suggest to rinse thoroughly (most people don't rinse long enough). Add needed moisture back in with Remoisturize Conditioner. Ingredients: Water (Aqua), Isobutane, Hydrofluorocarbon 152A, VVP/VA Copolymer, Polyquaternium-11, Propane, Polysorbate 20, PVP, Polyquaternium-4, Fragrance (Parfum), PPG-12-50 Lanolin, Olealkonium Chloride, Polyquaternium-7, PPG-9 Diethylmonium Chloride, Sodium Benzoate, Propylene Glycol, Cyclopentasiloxane, Hexyl Cinnamal, Butylphenyl Methylpropional, Cyclohexasiloxane, Sorbitol, Glycerin, Benzyl Benzoate, Cocamidopropyl Betaine, Citronellol, Gelatin/Keratin, Amino Acid/Lysine Hydroxypropylcitronella, Geraniol, Hydrolyzed Elastin, Hydroxyisohexyl 3-Cyclohexene Carboxaldehyde, Amyl Cinnamal. I'm someone that likes to deep cleanse my hair once everyweek, and have been using Neutrogena Shampoo Anti-Residue Formula for several years. I've noticed that Neutrogena was becoming too harsh for my fine/weak/damaged hair and wanted a change. I have no idea why I got such as gigantic bottle of Tresemme, since I only use it once a week, and it's starting to look like I might never finish it. 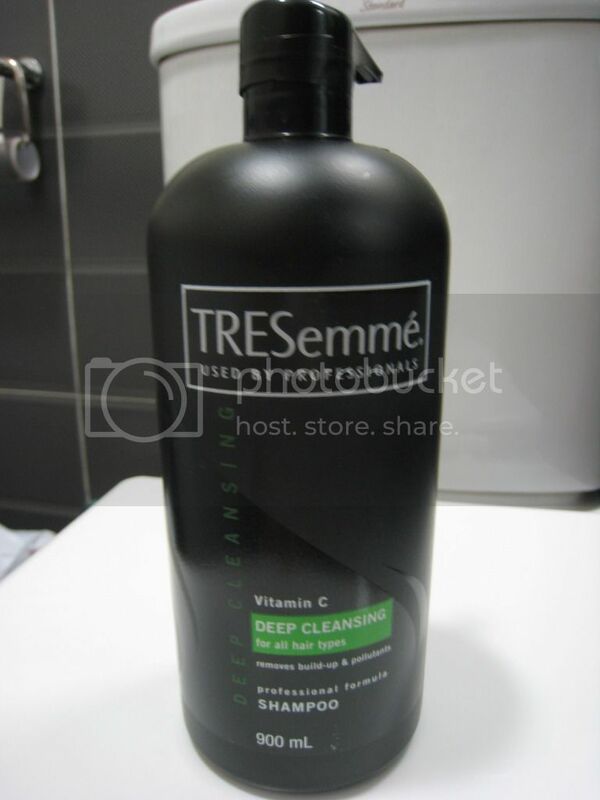 In comparison with Neutrogena, Tresemme is milder and less drying, but it still leaves my hair squeaky clean.